Applied aspirants for RRB ALP Recruitment must need practical material for RRB ALP Aptitude Test. So, with the help of this page you can Practice Material for Railway सहायक लोको पायलट post for coming aptitude test. To appear for RRB Assistant Loco Pilot Aptitude Test, candidates must follow the RRBALP Aptitude Test Syllabus and RRBModel Test Paper for better preparation of exam. Start preparation from today onwards if you want to become a part of Railway Recruitment Board. Contenders can get the RRB Assistant Loco Pilot Aptitude Test Questions from the below section of this page which is well prepared by the team members of www.privatejobshub.in and by going through provided Practice Material for RRB ALP Aptitude Test 2018 you will get great help for exam preparation. Railway Recruitment Board Assistant Loco Pilot Aptitude Test comprises of various stages which are as follows: These may change at any time without previous notice and each exam has divided Time Limit, which will be recommended to you at of time of test sessions. You have to solve test items and mark your answers within the specified duration. 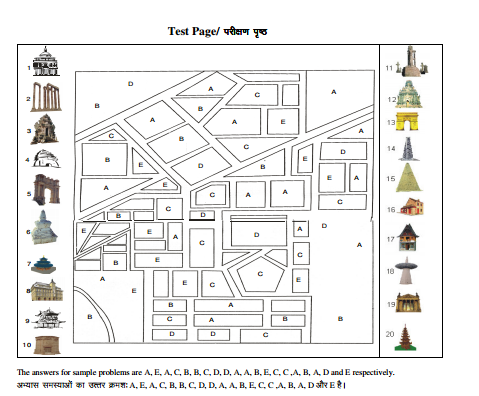 In this exam you will be given a map to learn and remember buildings and other structures on it for some time, and then asked to specify the position of these buildings on a test page. Learn the following instance for some time. Check out the given below example: Have a look below!!! This Test is made to measure the ability to Follow Directions. 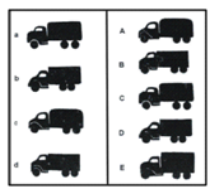 In this test you will be given a model of letters to look at and will be put questions about how definite directions will change that model or not. You must decide which letter explains the correct answer. 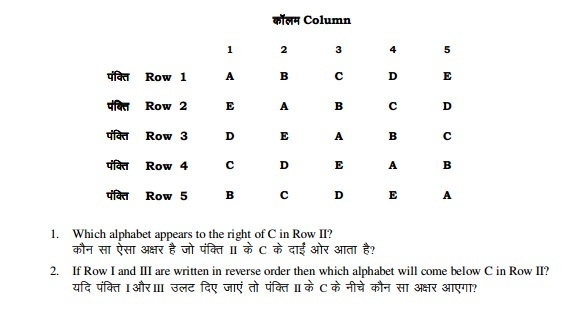 The answer to each question will be one of letters in pattern. 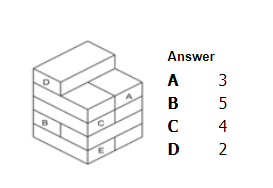 In this Measuring Depth Perception you will see a heap of bricks with various bricks labeled A, B, C, etc. Your job is to calculate the number of bricks that are touching bricks of pile that has a letter on it. 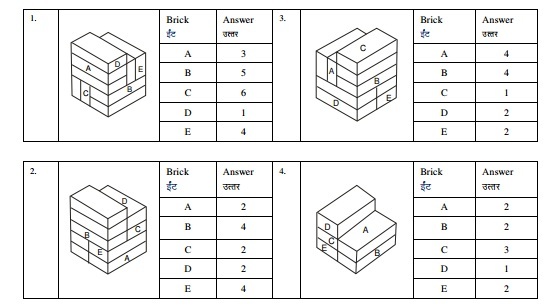 You must also know that all bricks are of same size and shape. The Measuring Concentration test is to search out how rapidly you may evaluate two numbers and decide whether they are the same or not. If the numbers are the same, dim the circle ‘Y’ otherwise darken ‘N’ on your answer sheet. Do not make any marks on the booklet. Try to solve following practice problems. Measuring Perceptual Speed is a test of how speedy and accurately you can see objects in order to match them. Look at the first radio at the left. Which one of the five at the right is most nearly like it? Radio ‘B’ is the one. Look at the second radio at the left. Which radio at the right is most nearly like it? Radio ‘C’ is the correct answer. How RRB ALP Aptitude Test 2018 Can Tests Help You? This test has been designed for various jobs in critical safety categories. You will be given the test battery, comprising of five-six tests, arranged for the job you have applied for. Usually the tests are directed in groups of 35-150 applicants. They are needed to answer the questions given in test booklets and mark the responses on OMR Answer Sheets. This test will help you to show where your power lies. They have been selected because the skills they include are used in job. These above given tests are carefully designed so that they are fair to all candidates. The aptitude tests have been designed for various jobs in critical safety categories. You will be given the test battery, consisting of five-six tests, prescribed for the job you have applied for. Generally the tests are administered in groups of 35-150 candidates. They are required to answer the questions given in test booklets and mark the responses on OMR Answer Sheets. 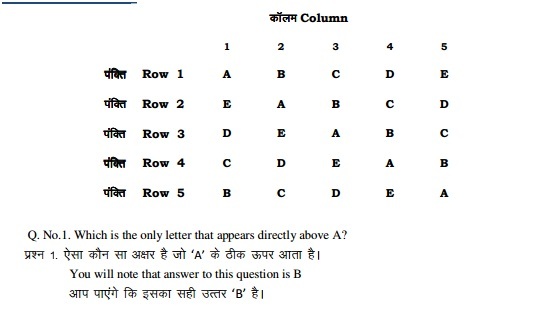 Here we are giving you some of the examples through which you can understand how questions will be come in RRB ALP Aptitude Test. For example, in the pile above the brick with an ‘A’ on it touches three other bricks, viz., ‘D’ and two other bricks. Brick B, C and D touch 5, 4 and 2 bricks respectivel. 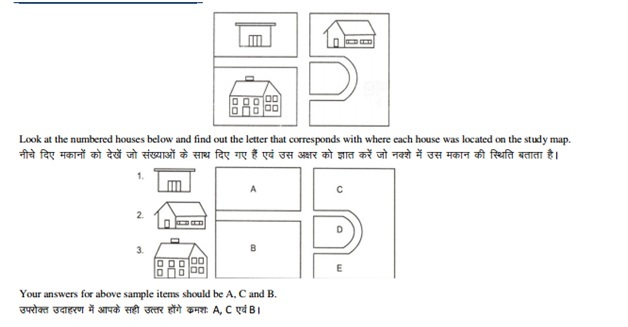 The answers for above questions are ‘Y’, ‘N’, ‘N’, ‘Y’ and ‘N’ respectively. How To Record Your Answer In Paper Pancil Mode: Most paper-pencil tests require you to record your answers on a separate answer sheet so that they can be scored quickly. 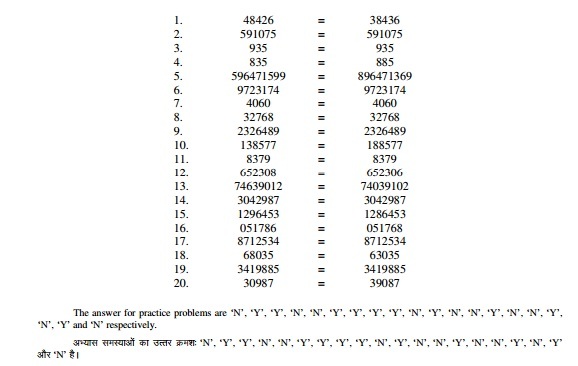 A sample of the Answer sheet used on Indian Railways may be seen here. 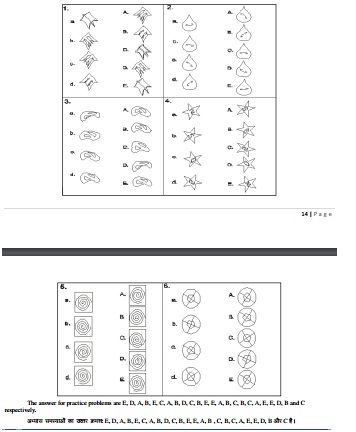 The answers are marked on the Answer sheet by fully darkening the circles which go with your answers. Use blue ball point pen. Remember you are not permitted to change your answers. How To Record Your Answer In Cbt Mode: In computerised based test you are required to record your answers by pressing mouse on one of the alternatives for a question. A mock test will be available before aptitude test so that you can get familiar with the test. The answers marked can be changed in test within the time limit specified for the test. Entrants can get the complete information regarding RRB ALP Aptitude Test 2018 through this page or you may check Official Link. If you want to qualify the ALP Aptitude Test, so this page will help you a lot to score good marks. Candidates can also bookmark our website that is www.privatejobshub.in by pressing CTRL+D for getting latest updates.